When Friends of the Chicago River was founded, canoeing on the river was unheard of. 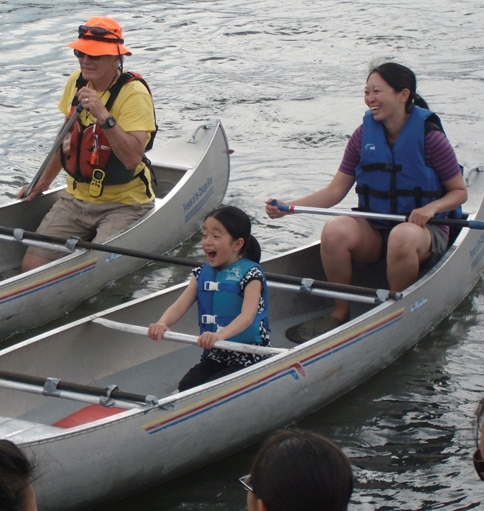 Urban Canoe Adventures was the first organized canoeing program on the Chicago River. In the early 1990s, the program consisted of little more than a single guide and a few boats, entering the river wherever the bank was accessible. While others turned their back on the river, we promoted its use as a resource for recreationists. More than 20 years since those humble beginnings, we've grown into a robust program that introduces more than 1,000 people to the Chicago River each year. Today, the river hosts a wide variety of public and private canoeing and kayaking programs and rental shops. Each year, more and more people take advantage of the opportunity to explore the river. Friends believes canoeing is, in a sense, a form of grassroots environmental activism. Paddlers depend on healthy water for a safe, enjoyable experience. Our canoeing program was an integral part of the process to raise the Chicago River's water quality standards. As more people began to recreate in and on the Chicago River, issues of river cleanliness became more urgent. When Friends and other environmental organizations proved that the river was being actively used as a recreational resource, the Illinois Pollution Control Board increased water quality standards to protect both river users and aquatic life as required by the U.S. Clean Water Act. For more information on our disinfection success, click here. Check the events page for upcoming Trips! We offer private trips for churches, school groups, and other community orgainzations. Contact Annette Anderson at (312) 939-0490, ext. 14, or aanderson@chicagoriver.org.